Each and every company follows the basics of management functions, which broadly include planning, organizing, staffing, and directing. All these functions are very important for the success, growth, and development of any organization. One of the very prominent and necessary functions of the management in every organization is the staffing. Staffing includes the human resource department that is well-known to recruit new people in the organization. Recruitment is the key to bringing new, fresh, talented, and skillful people into the organization so that the growth of the organization can be increased at a very positive path in terms of productivity, professionalism, and image, as well as reputation. Every organization focuses a lot on the recruitment of new employees, as they are the people who will bring in a new change and also go ahead and increase the efficiency of the organization. It is essential that recruitment is done in a correct way so companies can get a fruitful result from the people they recruit. 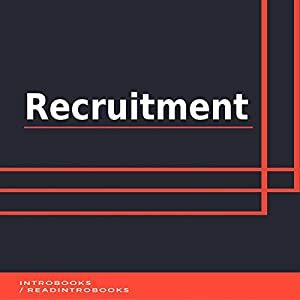 This is the reason both big as well as small organizations don’t mind investing in recruitment procedures; it is one of the most beneficial and vital functions in the organization.